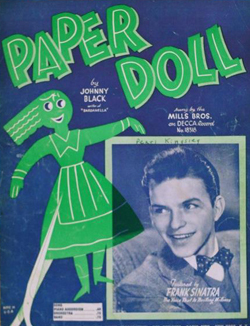 If you’re looking for Frank Sinatra collectables, one of the most available items is vintage sheet music. On ebay alone, there are currently twelve pages of Sinatra sheet music for sale, and there are many other sources on the Web as well. 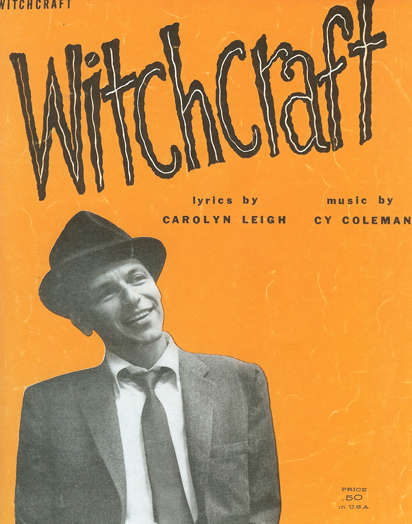 Among the best known Sinatra titles, you can find copies of collectable sheet music for songs like Witchcraft, All The Way, Young At Heart, Strangers In The Night, My Way and New York, New York. And then there are also many copies out there of lesser known songs like Paper Doll, Lily Belle, I Couldn’t Sleep A Wink Last Night, A Lovely Way To Spend An Evening and The Huckle-Buck. 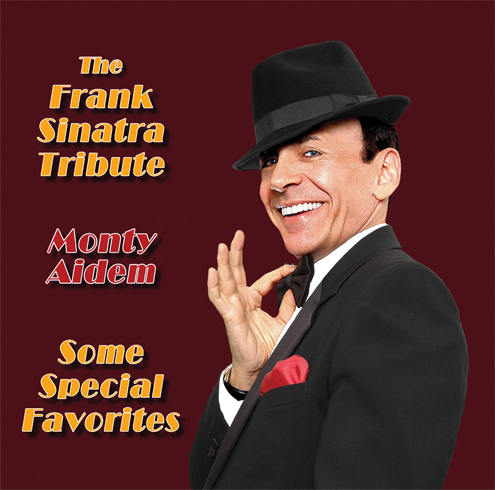 All feature different photos of Frank Sinatra on the cover. One sheet music displays two Sinatras, father and daughter, in a playful pose. 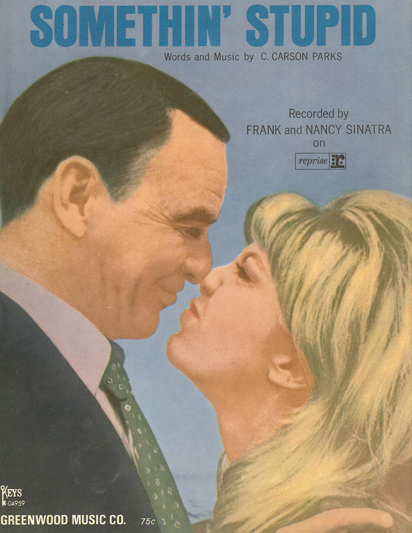 It’s Frank and Nancy on the cover of the sheet music for their number one 60’s duet, Something Stupid. Today’s sheet music doesn’t have much color or artwork on the covers, unlike the vintage kind that had pictures of the artists and more elaborate designs, making them suitable for framing. Of course, some of the vintage sheet music copies for sale are beat up or torn, and may have the name of a previous owner written on them, but they’re priced accordingly. For the higher budget, one site displays a copy of My Way autographed by FS that’s listed at a price of $1,777. 95. Well, at least they offer free shipping. Witchcraft and Something Stupid from the collection of Monty Aidem, who performs a Frank Sinatra Impersonator Tribute show. See a performance of Something Stupid at the YouTube Frank Sinatra Tribute. 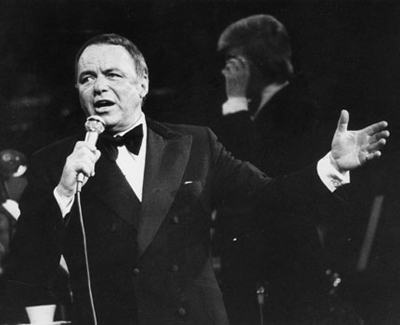 If you attended a Frank Sinatra performance during most of his later years, you probably saw him open the show with I’ve Got The World On A String. It was a great sentiment to get things underway. 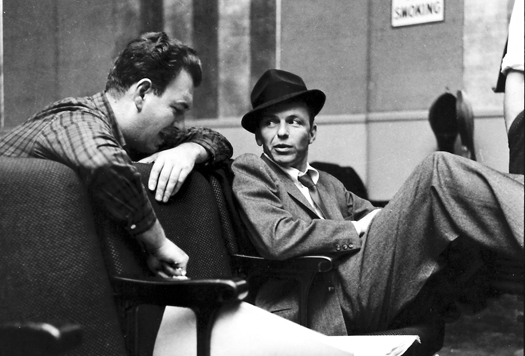 The song also happened to be Sinatra’s first collaboration with his master arranger Nelson Riddle. 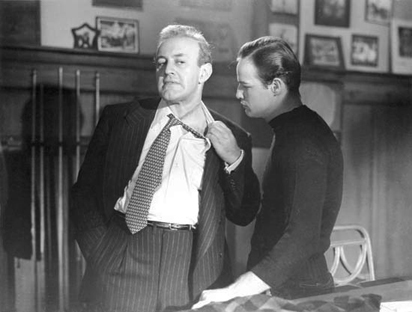 The song was originally heard in 1932 as part of the Cotton Club Parade, a musical production at Harlem’s famous Cotton Club, and it was introduced by Cab Calloway and Bing Crosby. 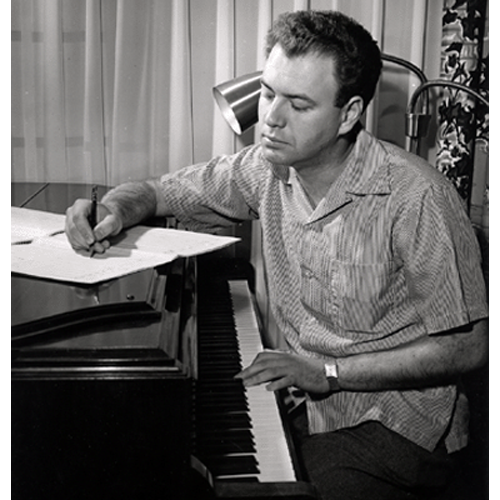 Over the years, it was recorded by artists including Louis Armstrong, Ella Fitzgerald and Peggy Lee. More recently it was recorded by Tony Bennett, Barry Manilow and Michael Buble. And Celine Dion, an admirer of F.S., performed it in her Las Vegas show from 2002 until 2007. And, needless to say, it’s still a great opener when you’re presenting a Frank Sinatra Tribute show for the audience as a Frank Sinatra Impersonator. In 1982, comedian Tom Dreesen was appearing with Smokey Robinson at Caesar’s Palace in Lake Tahoe while Frank Sinatra was working a few doors away at Harrah’s. 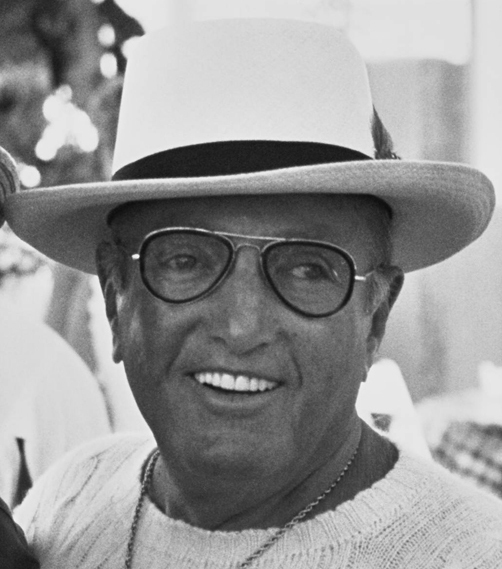 Tom wanted a chance to see Frank’s show up-close, so he called over to Harrah’s, where he had worked with Sammy Davis Jr. and asked if he could watch the show from backstage. When he arrived, he was called over by Harrah’s executive Holmes Hendricksen, who was standing with another man. Hendricksen said “Tommy, this is Mickey Rudin”, who Tom recognized as Frank’s lawyer and manager. Then Hendricksen said “Mickey, this is Tom Dreesen. I think Tom would make a great opening act for Frank”. Rudin, to be funny, said “Hey kid, if I gave you a week with Frank, would you want more than $50,000?” Tom said “Let me put it this way, Mr. Rudin. If you gave me a week with Frank, would you want more than $50,000?” Rudin burst out laughing and said “I like this kid”. A few days later, Tom’s manager got a call, and before long, Tom was preceding Frank on stage in Atlantic City. 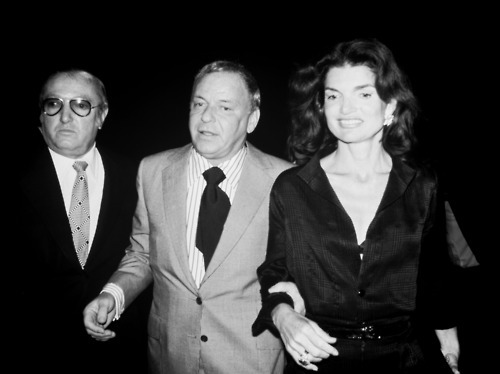 Following his second performance, Frank invited Tom to join him and his wife Barbara for dinner. In the middle of the meal, Frank put down his knife and fork and said “I like your material and I like your style. I’d like you to do a few other dates with me if you’re interested”. And that led to an exciting job that lasted fourteen years, and a warm personal relationship that lasted until Frank’s passing in 1998. Tom and Frank are pictured together here. For this writer and Frank Sinatra Impersonator, it’s great to have a friend like Tom Dreesen, a Sinatra confidant, and one of America’s finest comedians.